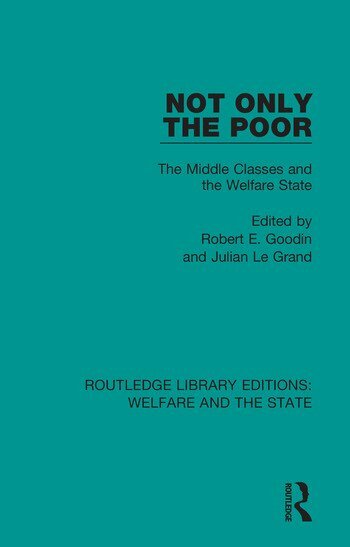 Originally published in 1987 Not Only the Poor explores the self-interested involvement of the non-poor in the welfare state, particularly the middle class. Using evidence from Britain, America, and Australia, they show that the non-poor were crucial in the founding of the welfare state, and in all three countries the non-poor benefit extensively from key welfare programmes, including those ostensibly targeted on the poor. Goodin and Le Grand conclude that the beneficial involvement of the non-poor in the welfare state is probably inevitable, but this may be no bad thing, depending on the alternative and on the nature of the egalitarian ideal adopted.